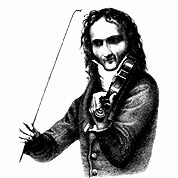 Niccolò Paganini was an Italian violinist, violist, guitarist, and composer. He was one of the most celebrated violin virtuosi of his time, and left his mark as one of the pillars of modern violin technique. Romanze in a minor is part of opus 35 Grand Sonata for guitar and violin. 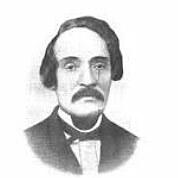 After A.T. Huerta, the most distinguished European guitarist to tour America was the Italian Marco Aurelio Zani de Ferranti (1802-1878), who toured the country with Paganini’s protégé Camillo Sivori in 1846. Zani de Ferranti, who also was renowned as a poet, was a composer, a highly regarded concert guitarist and the Court Guitarist to the King of Belgium. Niccolò Paganini was an Italian violinist, violist, guitarist, and composer. He was one of the most celebrated violin virtuosi of his time, and left his mark as one of the pillars of modern violin technique.